One of the things I love about London is the jumble of contrasting architectural styles. While every style may not be to my personal taste, I think the whole gains from this heterogeneity. 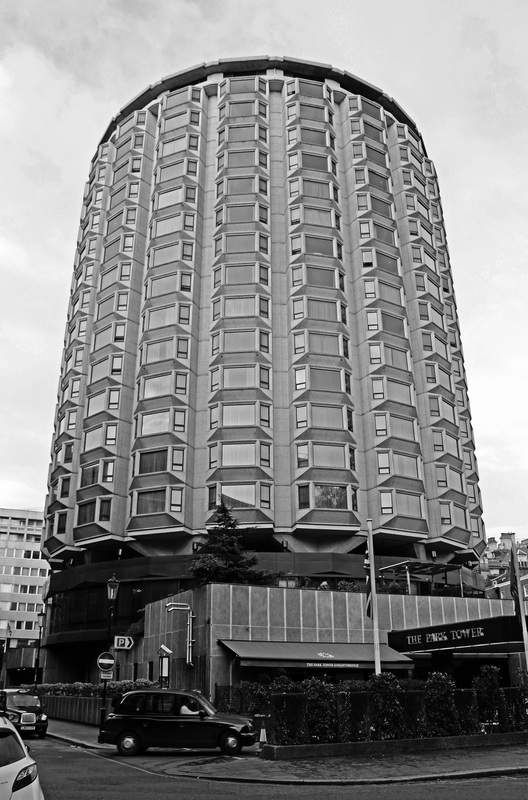 A great example of this lack of sympathy is the Park Tower Hotel, a charmingly irreverent brutalist gem nestled amongst the grand historic buildings of Knightsbridge. It is interesting to speculate what might have been, as the original plans for the structure were rejected for not fitting in sufficiently well with the surroundings. 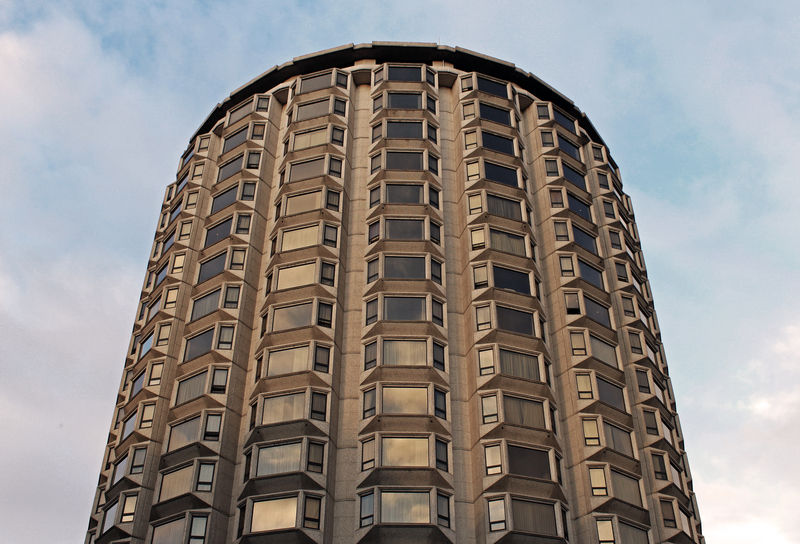 The building takes the form of a squat 14 storey cylindrical tower, sitting atop a small podium. Protruding splayed windows give the tower a knobbly appearance. The concrete has a slight sandy tint and the black window frames provide a nice contrast to this. A further contrast can be found between the austere concrete exterior of the building and the sumptuous interior, which features extravagant flourishes such as chandeliers, wood panelling, and marble bathrooms. But, if you are the type to pay £450-£3,200 per night, you probably expect this kind of luxury rather than a spartan modernist interior. I know which I prefer. 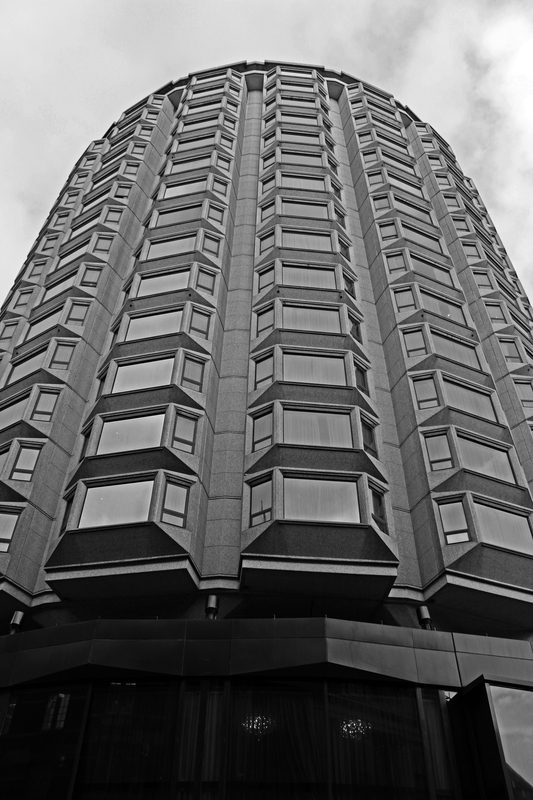 This entry was posted in London and tagged Architecture, brutalism, brutalist, concrete, Hotel, london, Park Tower, Richard Seifert on November 17, 2014 by Andrew Garford Moore. 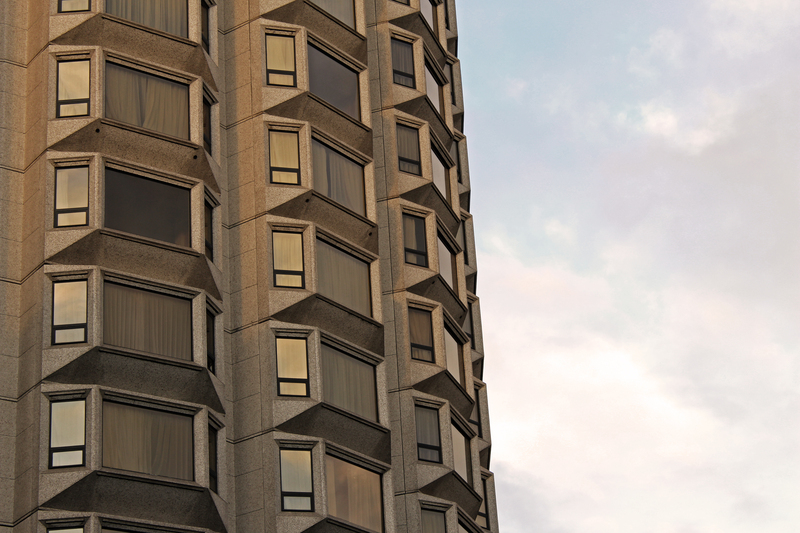 This entry was posted in Birmingham and tagged Architecture, Birmingham, brutalism, brutalist, Centre City Tower, concrete, Richard Seifert, Tower on June 29, 2014 by Andrew Garford Moore.